Commissioner of Health, Dr. Howard Zucker reflected that Brain Computer Interface (BCI) technology frees those who, like Stephen Hawking, are locked-in by allowing the silent to speak and the immobile to move. It aids those with injury, illness and stroke by taking advantage of lifelong brain plasticity that not long ago we didn’t realize existed. With the use of hardware and software, thoughts can control a keyboard enabling the user to text, email or move a wheelchair. Already BCI technology developed at Wadsworth’s National Center for Adaptive Neurotechnologies (NCAN) has enabled a scientist with ALS to run his lab and an abused husband to report spousal abuse to a judge and secure a change of custody. To change the simplest reflexes (such as the knee jerk reflex) which were supposedly not changeable. Drs. Xiang Yang Chen and Wolpaw started with rats and worked up to people, demonstrating that these reflexes were in fact changeable. Muscle activity produced by reflex pathways can be controlled and it is possible to reduce spastic movement. Now they are engaged in larger clinical trials, improving walking in people with spinal cord injury. To further develop a BCI device that takes EEG signals from the surface of the scalp and uses these signals to replace and restore function. Prior to the work led by Dr. Dennis McFarland and Dr. Wolpaw, it was thought that a probe had to be inserted into the brain to capture brain signals able to provide multi-dimensional movement control. Nevertheless, they showed that signals from the surface of the scalp could provide 3-D control. In addition, together with Theresa Vaughan, they led the first, large-scale clinical study to provide BCI devices in the home. The first BCI home user was an NIH-funded scientist at the University of Pennsylvania who was able to continue running his lab with the help of the Wadsworth BCI. A unique BCI software platform called BCI2000 was developed at Wadsworth by Drs. Schalk and McFarland and has been provided to more than 1200 labs around the world. To study cortical processes using electrocorticographic (ECoG; activity recorded from the surface of the brain) mapping. Drs. Gerwin Schalk and Peter Brunner use their BCI2000 software and SIGFRIED (SIGnal modeling For Real-time Identification and Event Detection) program to collect and process ECoG signals related to specific activities, such as listening. In contrast to methods used previously, they can now determine in real time the sequence of electrical events in different brain areas that underlie specific motor or cognitive actions. This new technology has been commercialized and is in use at major medical centers; it increases the safety and efficiency of neurosurgery for people with epilepsy and other disorders. The National Center for Adaptive Neurotechnologies offers workshops and training courses. Its first comprehensive course in adaptive neurotechnologies (also funded by an NIH grant) will be held at the Wadsworth Center next summer. The efforts of the laboratory have resulted in hundreds of peer-reviewed scientific papers and two recent textbooks: BCI Brain Computer Interfaces: Principles and Practice (Wolpaw & Wolpaw, 2012) and A Practical Guide to Brain Computer Interfacing with BCI 2000 (Schalk & Mellinger, 2010). NCAN is increasing its collaborations locally, at Albany Medical College and Albany Stratton VA Medical Center, as well as nationally and internationally. One technology company, with the help of Start-Up NY, has established an office in the Capital District to collaborate with researchers at NCAN. 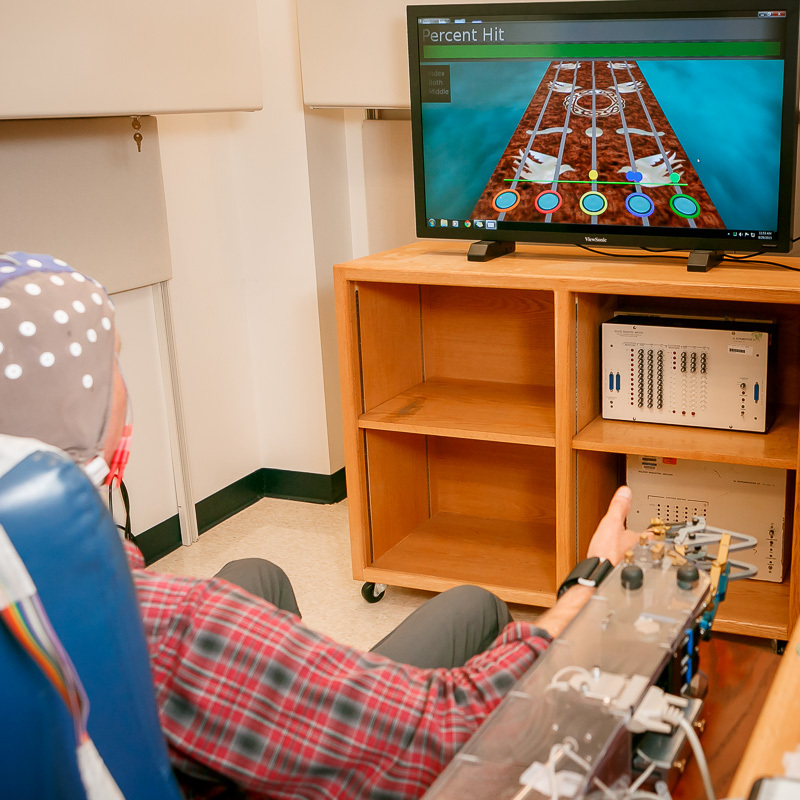 The new facility at the David Axelrod Institute contains a variety of technologies – BCI systems in which the user pays attention to flashing letters in order to write a message, a multi-modality treadmill surrounded by cameras to analyze and improve walking ability, and a BCI-controlled robotic device that assists in retraining impaired hand movement. Next door at the Center for Medical Sciences, state of the art bioinformatics analyses of reflex-conditioning, BCI, and ECoG data are performed. 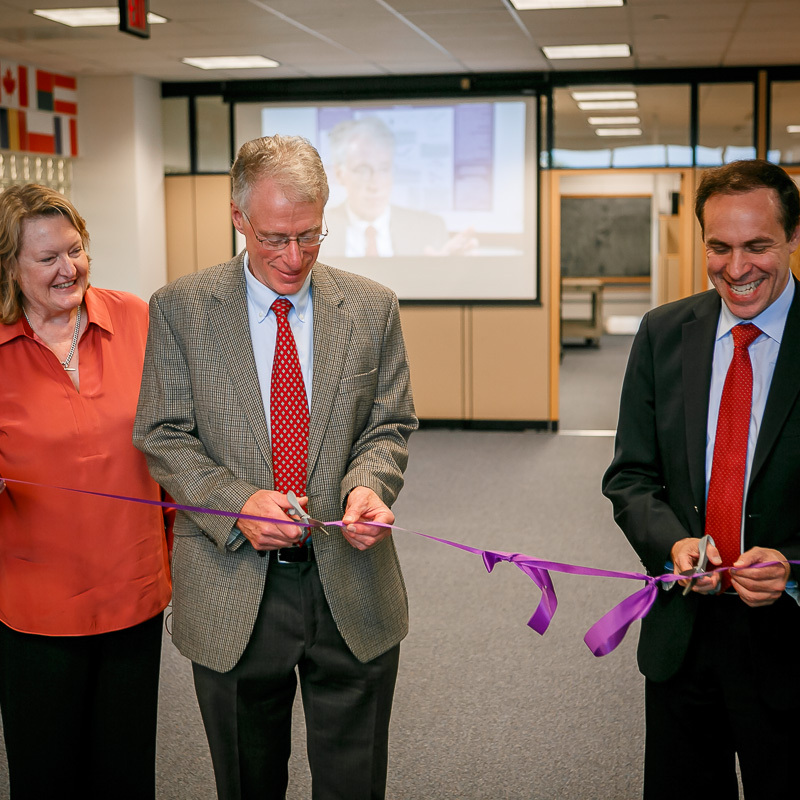 Dr. David Axelrod, then NY State Commissioner of Health, was instrumental in stimulating the BCI initiatives of this lab starting in 1985. With initial support from IBM, the lab’s BCI efforts proved successful and resulted in accomplishments ranging from moving a cursor on a screen with brain activity alone, to making epilepsy and brain tumor surgery safer. Dr. Wolpaw’s work in reflex conditioning began when he first came to the Wadsworth Center in 1980. 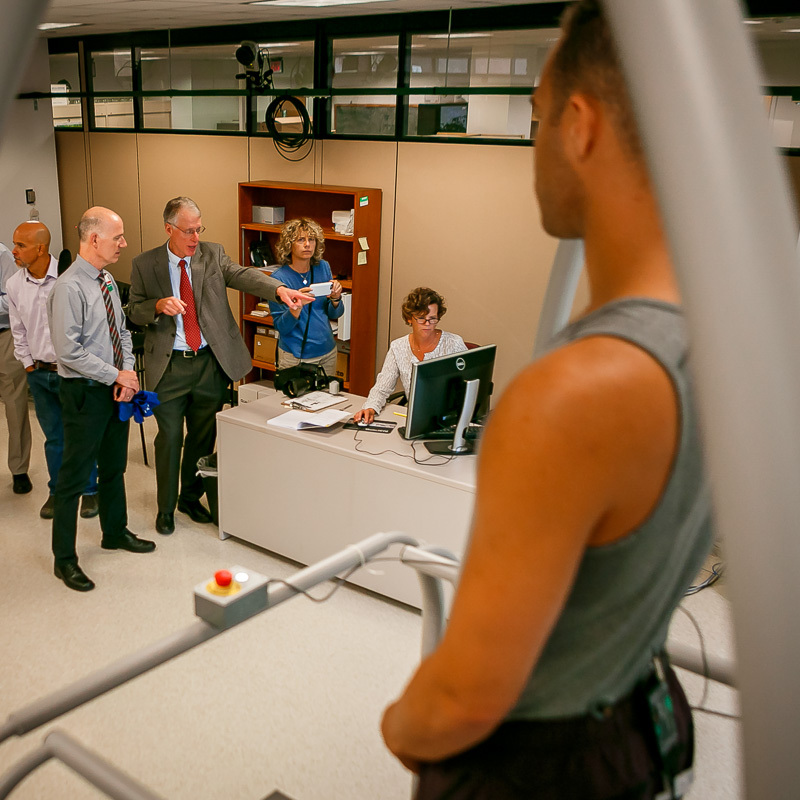 NCAN is now extending its reach to rehabilitation of movement after stroke and spinal cord injury, communication and control of external devices, mapping of brain activity, and possibly even reducing addiction. Today, current Commissioner Dr. Zucker noted that the Wadsworth Center is the birthplace of technology that is rapidly spreading worldwide. In 5-10 years, we’ll look back and say that this was the beginning of major new medical technology.